Complete with 2 x Optima Choke & 1 x Rhino choke. The Gun Room offers you the opportunity to purchase a, second hand Beretta A400 Xcel, sporter 12g semi auto, with 28" multi choked barrel, in totally immaculate condition, nice dark wood, cased with all accessories. As New Condition, With Makers ABS Case and 5 Chokes and key. brand new gun with game scene, now with a free Beretta HP cartridge bag. This is a brand new Beretta Silver Pigeon 1 20 gauge available here at Coombe Farm Sporting. 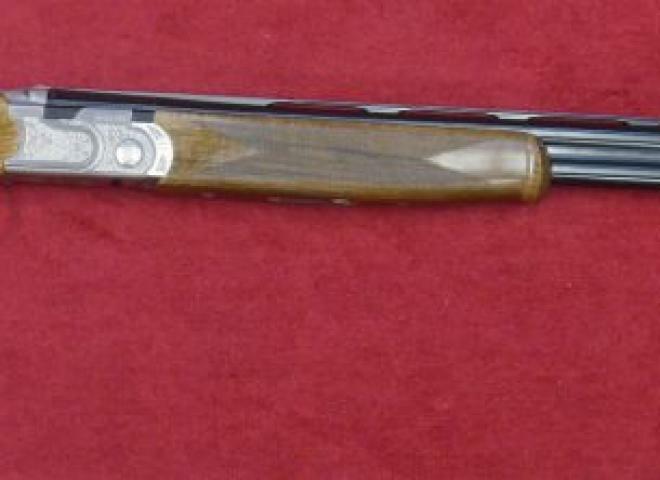 A lovely light weight shotgun for either game or clay pigeon shooting. Comes with a Beretta hard case and a full set of chokes. POSSIBLY THE LAST DT10 EELL SIDEPLATE SPORTER TO COME OUT OF THE FACTORY, SOLD BY US. New, With Makers ABS Case and 5 Chokes and Key. 20g Silver Pigeon Deluxe Field in very good condition with makers ABS case. 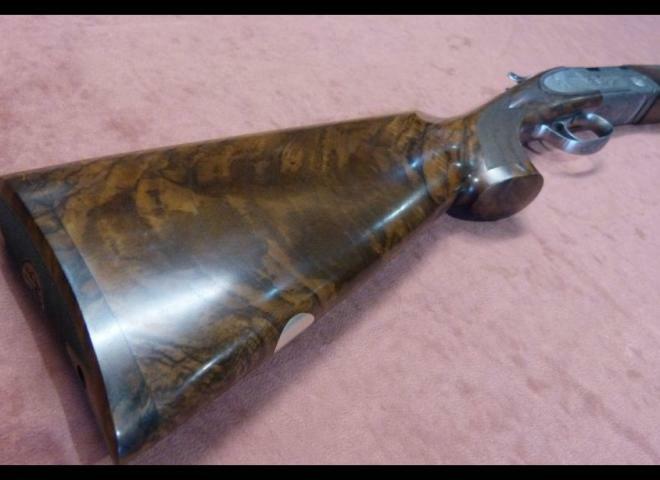 Brand new example of the limited edition Beretta 687 EELL Deluxe. Fine hand worked deep relief scroll engraved side plated (pinless) gun with high grade European Walnut. A stunning shotgun from Beretta, this limited edition game gun will certainly not look out of place on any game shoot.With stunning high grade wood and a very tasteful sideplate action. A stunning new DT11 EELL Sporter – the flag ship of the DT11 Premium Gun range. Selected high grade European Walnut with hand finished deep relief scroll engraved action and side plates. Limited Production! Beretta are proud to announce a limited supply of 687 EELL Deluxe field guns. 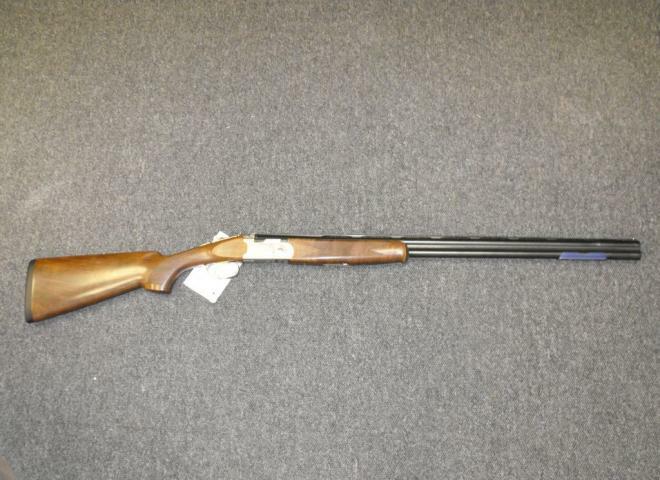 Beretta 686 E Over and Under 20G Shotgun in Good Condition, very popular reliable shotgun. The Gun Room offers you the opportunity to purchase a, second hand, 20g Beretta 687 EELL Diamond Pigeon, with 29.5" barrels choked 1/4 and a 1/2, game scene engraving nice dark figured wood, in lovely condition, cased. Beretta A400 Xcel multi target has a huge array of features to make the ultimate sporting semi auto shotgun. A Beretta Silver Pigeon 20b with de luxe wood. 15" stock, 32" multi choke barrels and come cased with spare chokes. 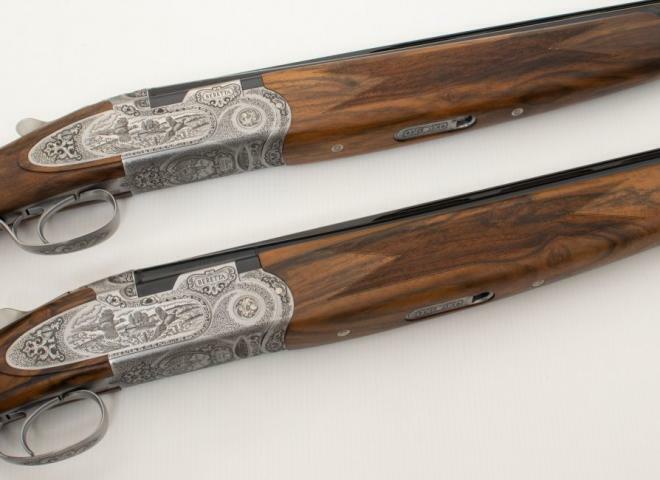 PROBABLY THE MOST POPULAR GAME GUNS AVAILABLE, A PERFECT PAIR OF ALL ROUND GAME GUNS, GAMESCENE ENGRAVED AND FACTORY MATCHED WOODWORK.. 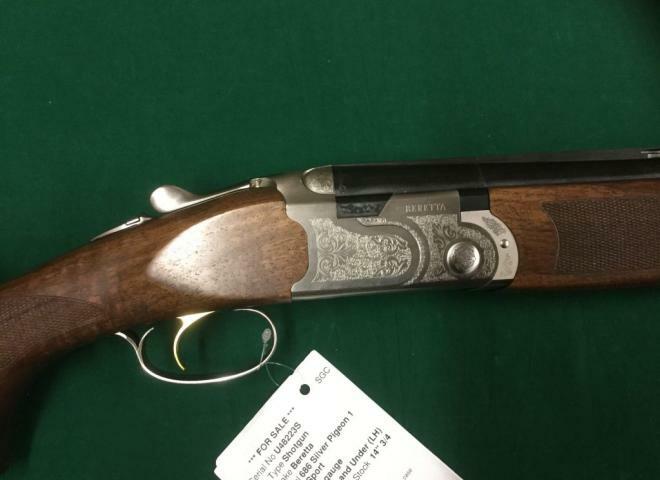 The Gun Room offers you the opportunity to purchase a new Beretta 686 silver pigeon 1 28g, game gun with 30" multi choked barrels, auto safe all cased, handles nice. In very good condition, complete with makers case and accessories. Limited edition no 41 of 100. 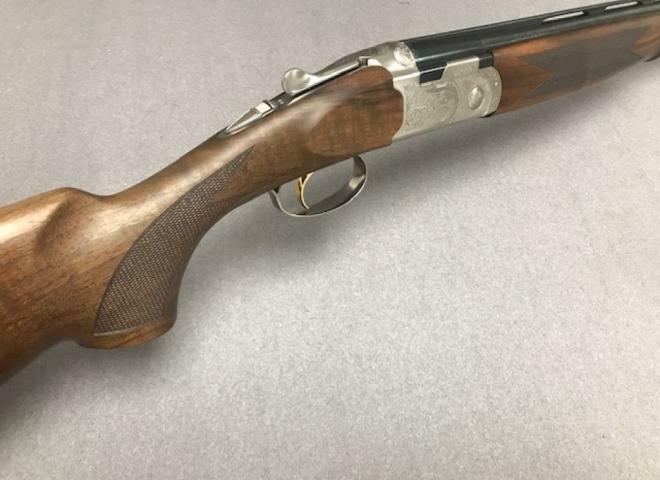 The Gun Room offers you the opportunity to purchase a new Beretta, 693 Field, with 30" multi choked barrels, auto safe with lovely dark well figured timber, cased. Scroll engraved action with well figured stock and forend, Steelium barrels and Optima HP extended chokes, Tapered top rib and vent side rib barrels, Micro core recoil pad, Beretta ABS case. OUR SHOOTING SCHOOL SPEC SILVER PIGEON 1, 28'' BARRELS WITH A 13 1/2'' STOCK FITTED WITH A KICKEEZ PAD.